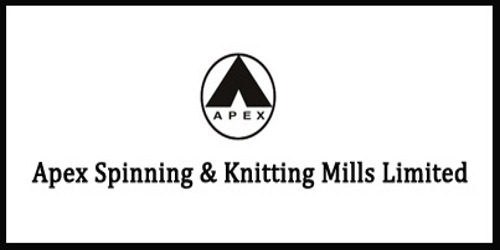 It is a broadly described annual report of Apex Spinning & Knitting Mills Limited in the year of 2011. The Company achieved an export turnover of Taka. 2,231.01 million during the year ended 31st March 2011. Last year’s turnover was BDT 1,586.09 million. The increase in turnover is 40.66% with a 21.22% increase in profit (before tax). Net profit (after tax) earned during the year was Taka. 13.53 million as compared to last year’s Net Profit (after tax) of Taka. 13.81 million. During the year BDT 51.68 million was invested in Property, Plant, and Equipment. During the year, the Company produced 14.31 million pieces of apparel, an increase of 21.82% over that of last year. 85.18% of the production capacity was utilized during the year as against 78.31% in the previous year. The Board of Directors has recommended Cash Dividend of Tk. 15.00 per Share of Tk. 100.00 each for the year 2010-11. The dividend will be paid to the Shareholders whose names appear in the Share Registers of the Company or in the Depository Registers as on 4th August 2011 at the close of office. These financial statements are presented in Bangladesh Taka (Taka/Tk/BDT) which is the company’s functional currency. All financial information presented in Taka has been rounded off to the nearest Taka.